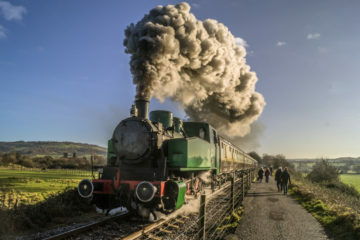 The Avon Valley Railway is hosting another of its popular Teddy Bear’s Picnic, with a chance for children to travel free if they bring their teddy bear along too! The event, taking place on Saturday 15 and Sunday 16 September, features free face painting, Punch & Judy shows and family craft activities onboard the trains throughout the day. There will also be a fun bear-themed trail around the station site at Bitton. The railway’s train rides will be running from 11am headed by both steam and diesel locomotives. Visitors are welcome to bring their own picnic to enjoy onboard, while the station Buffet will be offering children’s teddy bear lunch boxes too. The event has been running for a number of years and traditionally has taken place on the Sunday only. However, in recent years it’s become much more popular so for 2018 it will run on both Saturday and Sunday giving more people a chance to visit and enjoy the atmosphere. 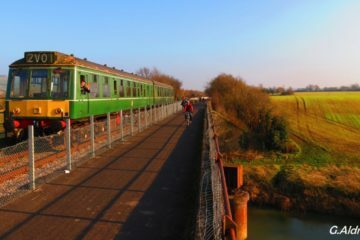 Trains depart throughout the day from 11am until 4pm with a regular service every 40 minutes. Free parking is available at the station site at Bitton (BS30 6HD). Tickets cost £8 for adults, £7 for concessions and don’t forget all children who bring their teddy bear travel free!